Susan Ellenberg, a Silicon Valley lawyer, educator, and social justice advocate, ran for trustee of San Jose Unified School District’s Area 2 in 2014, attempting to unseat incumbent Richard Garcia, who had held the seat for more than twenty years. 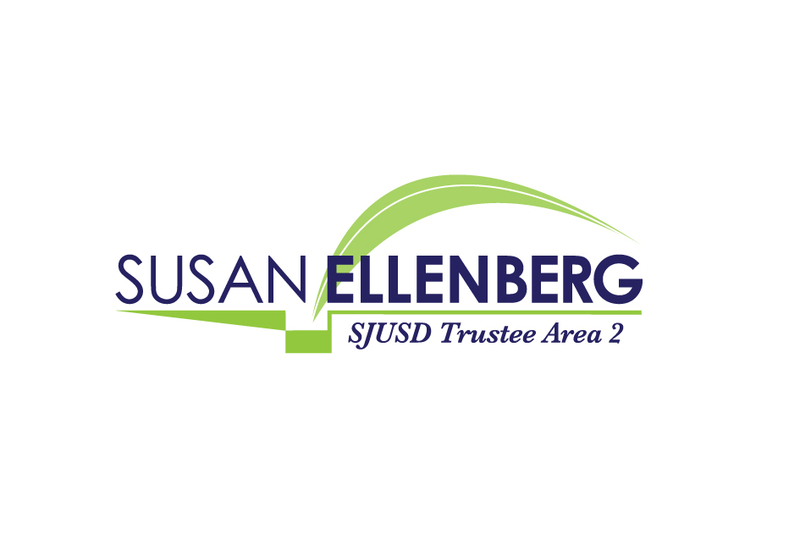 EDJ 2 Edge envisioned a logo that could serve Ms. Ellenberg well for both the campaign, and well beyond, into her term as trustee. Reflective of the canditate’s run for educational change and fresh thinking after 22 years of the same trustee, the logo is an abstract representation of a book, where a new page is being turned, to reflect that the candidate is literally “turning over a new leaf” in public education in Silicon Valley. Ms. Ellenberg successfully won the election and began her term in January 2015.